Environmental certification of wood under the Forest Stewardship Council is not only a means of ensuring shoppers can access ethically sourced goods – it also might also prevent the spread of disease. When music icon Sting championed the plight of the indigenous Kayapo to save the Brazilian rainforest, he attracted enough attention to help push conservationists, community leaders and policymakers to design an international standard that would encourage best practices for logging companies. The British musician’s efforts coupled with the failure of the 1992 Earth Summit in Rio de Janeiro, Brazil, to produce an agreement to stop deforestation led this motley crew to form the Forest Stewardship Council (FSC) with the aim of promoting responsible management of the world’s forests. Twenty-three years on, the FSC certifies more than 187 million hectares of trees in more than 80 countries, safeguarding water resources and wildlife, addressing climate change, and promoting the sustainability of forestry operations. But the FSC’s regulations may also have an unexpected side effect: preventing the spread of disease. The organization’s growth thus far has largely been driven by growing consumer demand for ethically sourced products. Today, FSC counts big players like Swedish furniture giant IKEA and packaging company Tetra Pak among those that use its certified wood. In light of the trend, forestry companies all over the world are keen to achieve certification status that will gain them easier access to Western markets. “I don’t think anybody would have thought we would have 12 percent of the global forest trade in 20 years,” FSC Director General Kim Carstensen says about the FSC’s development. Still, having 12 percent of the market share still means that 88 percent of the wood logged in the world comes from sources where the origin cannot be verified to include strong environmental and work standards. Furthermore, even among certified companies it is notoriously difficult to ensure that these standards are always met. And both of these problems are nowhere more apparent than in the Republic of Congo. Most of the forest is open to logging, say conservationists. The central African country has granted concessions to 25 forestry companies, which exert control over 66 percent of the country’s land. Only two of these companies – both European-owned – are certified by the FSC. “The wild central African rainforest is a myth. 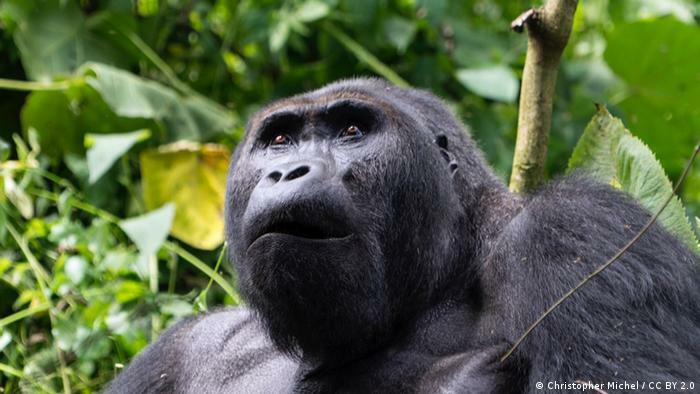 The land has all been given out,” said Tim Rayden, based in the Republic of Congo capital Brazzaville as a technical advisor with the Wildlife Conservation Society, which is an FSC member. The Congolese forest is the world’s second-largest tropical rainforest, and under-resourced forest rangers struggle to keep an eye on companies operating over vast areas. At 500 million acres, the forest’s immense size creates another problem for workers besides monitoring – and that’s where to get their lunch. FSC-certified companies give their employees access to subsidized food from a company store – but Rayden, who regularly monitors the forest’s only two certified companies, says Chinese and Malaysian-owned firms operating in the south and northwest regions of the Republic of Congo often leave workers to fend for themselves, despite pressure from their governments. And “on the ground” are workers in the middle of the rainforest eating bushmeat. That doesn’t just threaten the biodiversity in this fragile ecosystem – which is home to some 10,000 plant and more than 400 mammal species, including chimpanzees. It also increases the likelihood of the workers contracting certain infectious diseases. These include not only the notorious Ebola virus, but also measles, chicken pox, tuberculosis, rabies, yellow fever and others. Protective clothing presents a similar story. While employees of FSC-certified companies are obliged to be properly outfitted, Rayden says forest rangers turn a blind eye if timber workers of other companies are not dressed like they should be for the job. And that can leave them exposed to disease-carrying mosquitoes, particularly when working in what is known as secondary forests – or areas that have grown back after logging or fire. 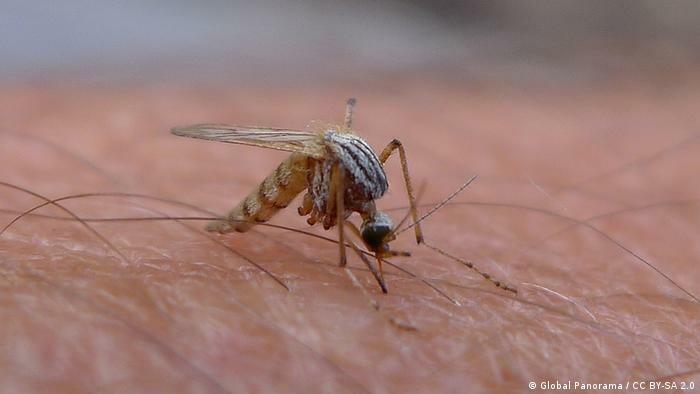 “In countries where we sampled secondary forests, we really found a high number of mosquitoes,” said Marco Marklewitz. He is a PhD student at the Institute of Virology at the University of Bonn Medical Center, and part of a group researching the effect of habitat change in forests on emerging viruses. Mosquito density in the secondary forests Marklewitz observed was twice as high as in intact forests – yet the diversity among pesky insects was lower. Research suggests that these conditions may lead to a so-called “dilution effect,” which hypothesizes that lower diversity in host species may lead to higher rates of infection and illness. Considering the range of dangerous, mosquito-borne diseases that can be found in the region, that is particularly worrisome. Those diseases include not only long-time problem malaria, but also the Zika virus, which has made headlines recently due to its sudden and rapid spread. The virus – thought to be linked to two neurological disorders, Guillain-Barre syndrome and birth defect microcephaly – was first isolated in Uganda, and has since spread to 30 countries, with Brazil at the center of the current outbreak. So while the Forest Stewardship Council’s motivation may be to protect the forest, it turns out that sustainable, responsible forestry management may also go a long way toward protecting people from disease as well.